The biggest U.S. carriers planning to deploy controversial LTE-Unlicensed technology expect to use gear that’s been tested for coexistence with Wi-Fi, their executives said Wednesday. Speakers from Verizon Wireless and T-Mobile USA said they expect all the LTE-U devices they use to be vetted through a test plan created by the Wi-Fi Alliance. They also anticipate that gear based on a related technology, LAA (Licensed Assisted Access), will be certified through tests for that system. That’s good news for anyone worried about LTE networks using some of the same frequencies that carry Wi-Fi traffic. The WFA test plan, despite being developed with input from those carriers and other LTE-U backers, was harshly criticized before its completion last week. Backers of LTE-U, including Verizon and Qualcomm, have demonstrated their own coexistence tests. 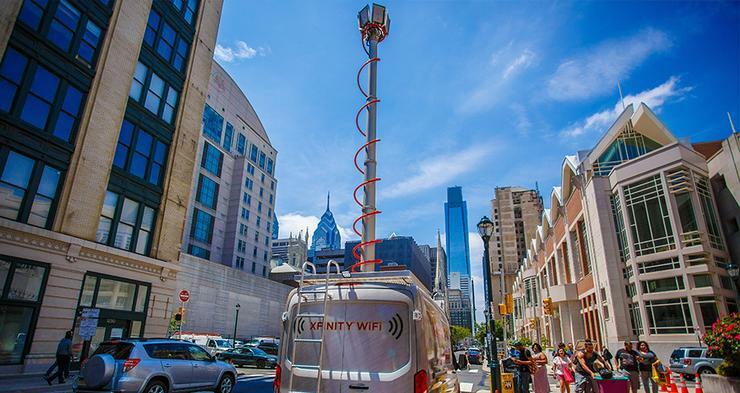 When it released the plan, WFA warned that anything but the full test suite would be inadequate to ensure that LTE-U devices would be fair to Wi-Fi. LTE-U promises to boost LTE performance in some areas, but some Wi-Fi providers and users are worried their experience might suffer. The WFA tests, which will be conducted by an independent lab, are designed to gauge whether an LTE-U device turned on near a Wi-Fi network would cause more interference than adding another Wi-Fi network. The carriers, along with mobile technology giant Qualcomm and others, have criticized WFA’s test development process as too slow and unfair to LTE-U. At a panel discussion on Wednesday in Washington, D.C., conflict was never far from the surface, but executives for the two carriers voiced support for the test plan. "I think Wi-Fi Alliance did a good job of coming up with a product here," said Steve Sharkey, T-Mobile’s vice president for engineering and technology policy. Verizon is still reviewing the test plan, said Patrick Welsh, assistant vice president for regulatory affairs, but it expects that any gear it deploys will have passed. Verizon still expects to introduce LTE-U this year and LAA next year, he said. The panel brought together voices from both sides of the debate, including Wi-Fi chip giant Broadcom and Comcast, which competes with carriers and has a vast Wi-Fi network to give its customers mobile access. David Don, Comcast’s vice president for regulatory policy, said the carriers were out of bounds when they developed LTE-U because they didn’t do it transparently. "Hopefully, we’ve moved beyond some of these practices," he said. The Federal Communications Commission held off on approving LTE-U products until the industry could come up with its own solution. That "light touch" may be a model for how regulators will handle a growing number of unlicensed spectrum issues, said Harold Feld, senior vice president of consumer advocacy group Public Knowledge. "It’s a very crowded world, and we are adjusting our expectations for how these things are going to work together," Feld said.